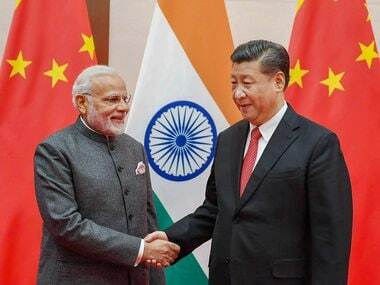 The "informal summit" planned between Indian prime minister Narendra Modi and Chinese president Xi Jinping in Wuhan this week has set the cat among the pigeons. This is part of an unprecedented schedule, during which Modi and Xi will meet twice in six weeks, and has confounded policy analysts and commentators, and rightfully so given last year's standoff at Doka La. 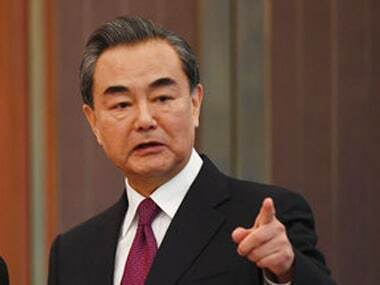 The 'reset' in bilateral ties that's being mentioned from the Indian side, and Wang Yi's emphasis of this visit being a "new milestone", is another bit of information that's just as intriguing. 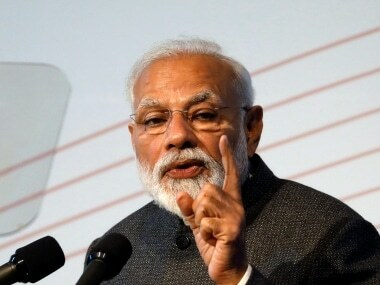 On Modi's reasons to make these visits, most commentaries have offered issues such as a sagging Indian economy, an increasingly unfriendly neighbourhood courtesy China, naval incursions of the People's Liberation Army (PLA) into the Indian Ocean, and an overall aggressive approach visible in China's foreign and security policies against India. These are undeniably valid reasons that convinced Modi to seek a reset in India-China ties. 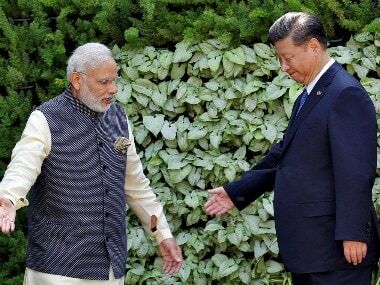 Even the Chinese media reports emphasise India's security compulsions and incentives from trade relations with China being the main motives for Modi's visit. 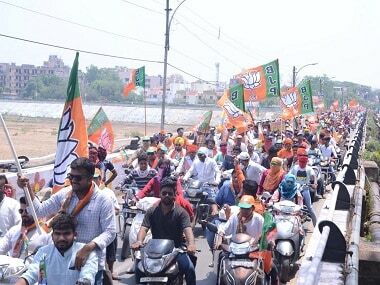 They offer an impression that it's the Indian government which is worried and anxious. Issues such as a large trade deficit, decreasing economic opportunities for India's service sector from the American market and opening up of opportunities in China's soybean and sugar market after China imposed punitive tariffs on the American agricultural products are some examples. However, these arguments do not adequately explain the speed of bilateral engagements that have taken place in the last six months. For example, Foreign Minister Wang Yi and top diplomat and Politburo member Yang Jiechi, have both made trips to India and offered multiple avenues of cooperation — such as a trade corridor through Nepal, among others. India's top bureaucrats, including its new foreign secretary and ministers of defence and external affairs, have also made trips to China. In terms of tangible achievements, India and China have restored bilateral relations to a large extent. The agreement to restart the Kailash-Mansarover Pilgrimage has concluded; China has agreed to share the river data for Brahmaputra river with India, and both countries are negotiating to resume their bilateral military exchanges and exercises. On its part, India has clipped Dalai Lama and his government-in-exile's wings and cooperated with China in FATF and world trade platforms. India is also preparing to take on the Trump administration to the dispute settlement forum in the WTO on steel and aluminium tariffs. Nevertheless, both China and India have issues of extreme differences where no solution is possible in the near term. Issues regarding resolution of land borders, India's membership in the NSG, and the UN Security Council, designation of Jaish-e-Mohammad terrorists in the UN and India's participation in the Belt and Road Initiative are such that neither side is willing to budge. China cannot help make India a regional hegemonic challenger. China also cannot ignore Pakistan and endanger its massive investments in CPEC, neither will India join BRI when CPEC violates its territorial sovereignty. Therefore, Xi and Modi could have taken an extra day during the SCO Summit in Qingdao in June this year and discussed these issues. There was, quite frankly, no need for another trip by Modi to China, if the upcoming visit is treated a normal one. Instead, it can become a new milestone if both countries are able to agree to enhance their economic cooperation substantially. Modi's India earnestly needs investments and markets for its exports, especially when America and the West is increasingly becoming protectionist, the Middle East remains in turmoil, and Russia suffers under sanctions. Even Japan has lately shown willingness to join the BRI. If China offers India a massive investment package, to the tune of US$ 50-100 billion, it will be a considerable boost to Modi’s image back home. The investment package can remove the trust deficit to some extent, reduce the trade deficit and may even help improve China's image in India if common Indians can benefit in terms of employment and the availability of better infrastructure. China can even show its willingness to participate in the ‘Make in India’ programme, as it already has excess capital goods production capacity, which it can shift out of China. India earnestly needs both, cash as well as the technology and this is a major opportunity to conclude an agreement to this regard. In addition, both countries can enter into an agreement to keep their land borders quiet and conflict-free in the near future. Indian investments in border infrastructure have lately begun showing results and boosted Indian military's capacity to respond effectively on the LAC. In the next decade, increasing completion of airports, roads and logistical facilities will qualitatively enhance the nature of India's military deployments on its land borders. That will become a big headache for China and the PLA. India and China share a 4,000-kilometre boundary, and so far, the PLA has deployed based on the philosophy of "light on the front, heavy in the back". China has improved the infrastructure of its borders with India but its deployments are not that comprehensive. The PLA remains heavily deployed away from the borders and regularly rehearses to arrive in time during conflict. However, Doka La has changed that equation. Following the standoff, the PLA had to build significant facilities to deploy its troops throughout the year and that's only in one valley. The entire land boundary consists of hundreds of valleys, mountains, rivers and forests. Deploying troops such as that on the India-Pakistan LoC would be an unnecessary drain for China. As it is, Chinese forces are focused more towards their eastern adversaries, and Xi is trying to manage threats emerging from the Taiwan Travel Act and Trump's forays into North Korea. He does not need a simultaneous hostile engagement with India, on his South West borders at the moment. Therefore, a temporary treaty of peace and tranquillity can be concluded to bring relief to both parties in this informal summit. In sum, there are many reasons that have brought both Xi and Modi to this peaceful negotiation table. The fact that will make it a "new milestone" has to be something substantial that gives face to both leaders. A major economic agreement and treaty to bring peace on borders, even temporary, would make this trip worthwhile for both leaders. This will also be welcomed by the entire Indo-Pacific region.